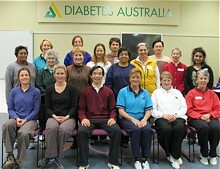 What is Tai Chi for Diabetes? Dr. Paul Lam and his Tai Chi associates and a team of medical specialists created this program, based on Sun and Yang style tai chi, Tai Chi for Diabetes is safe and easy to learn. It is designed to prevent and improve the control of diabetes. The program will improve health and wellness. How does Tai Chi for Diabetes work? How to learn the program? An excellent introduction to tai chi to gain the many health benefits of tai chi. Dr Lam’s instructional Tai Chi for Diabetes DVD, handbook, chart and the Tai Chi for Diabetes – Living Well with Diabetes book.